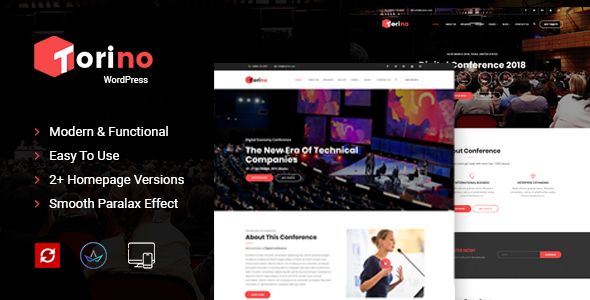 Torino is a WordPress Theme especially designed for conference, meeting and event websites. Torino theme has beautiful and unique design that will be best suited for your online web presence. It has 100% responsive design and tested on all major handheld devices. Torino comes with necessary features for your online presence like events, blog, speakers, gallery and team pages etc. Torino can be a great choice for your online presence. Looking for release your company website ? This theme is best choice.